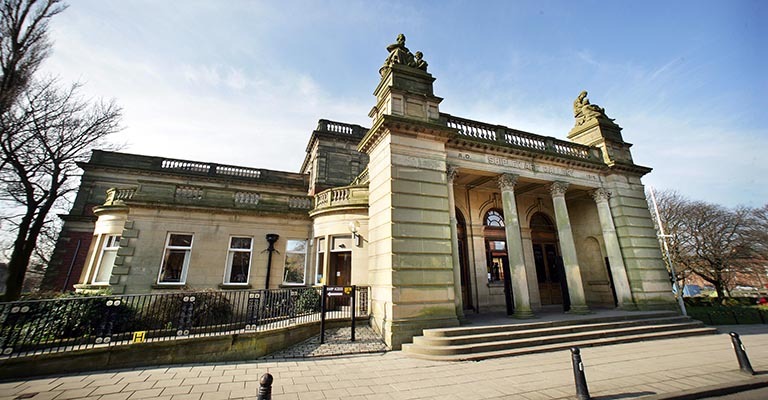 The Shipley Art Gallery opened in 1917 with a collection of 504 paintings bequeathed by local solicitor Joseph Shipley. Since then the collection has grown to include nearly 800 paintings and collections of works on paper, decorative art and contemporary craft. The Shipley’s art collections were designated as being of national importance in 1998 and include local favourite, William Irving’s painting The Blaydon Races. In 1977 the Shipley began collecting contemporary art made in Britain. Over the last 25 years the venue has become established as a national centre for contemporary craft and has built up one of the best collections outside London, including ceramics, wood, metal, glass, textiles and furniture. The Shipley is also home to The Henry Rothschild collection of studio ceramics. This includes work by all major makers and studios working in ceramics during the 20th century in the UK. In 1946, Henry Rothschild opened Primavera in London. It became the country’s leading craft retailer. The shop stocked furniture, textiles and glass but mostly ceramics. Henry Rothschild was an important figure for craftspeople, offering them his encouragement and support. He worked hard to promote the best potters when others had yet to take notice. In partnership with Northumbria University the Gallery now offers the Henry Rothschild Bursary for Ceramic Artists. A series of five bursaries will be offered to early career ceramicists. The bursaries are jointly funded by Henry Rothschild’s family and Northumbria University. There are five gallery spaces, showing a range of temporary exhibitions throughout the year. There are also regular events including artist and curator talks, family activities, concerts and vintage and craft fairs.